I’ve been waiting a pretty long time to write the words “press embargo lifted” since it sounds so important. 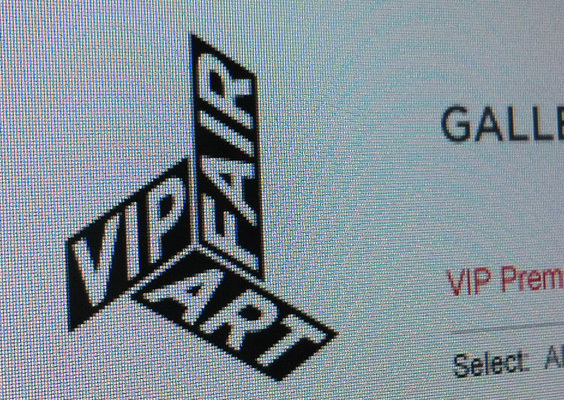 Our latest project, VIP Art Fair is publicly available after nearly a year of work– sort of. The registration phase started and it’s now possible to request invitations to the week-long event that will go live in January. We worked very closely with art dealers James and Jane Cohan and Internet entrepreneurs Jonas and Alessandra Almgren to design and develop the first art fair to take place exclusively online. Some of the biggest names in the gallery world (Zwirner, Gagosian, White Cube) are on board and the New York Times and Art Info have already covered the project. 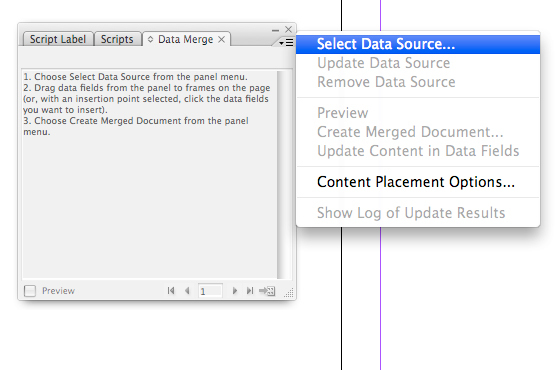 We’ll discuss the thinking that went into the interface here in an upcoming post. We’ve had an iPad in the office for a few weeks now and I’ve been meaning to write something about how it is changing how we design. It’s taken me way to long to get it together. A lot has already been said about the impact the vertical proportion will have or more specifically that there is no longer one standard orientation (landscape) to design for. 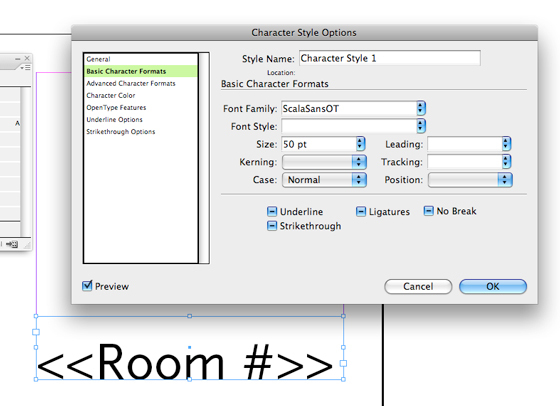 Other’s have written on the upsurge quality typography will get and more have seen it as another nail in the coffin for Flash (premature?). Last week I found an article in the New York Times announcing that GOURMET is back as Gourmet Live! I loved that magazine and was heartbroken when Conde Nast pulled the plug last October. This is the first example I’ve come across of the iPad prompting a magazine relaunch. The magazine, that according to the publisher, is no longer a magazine will launch in the fall of 2010. I for one am more than curious to see whether they will have the fortitude to pull off something that uses the medium rather than dumping existing approaches to content and layout onto a new platform. Fingers crossed. 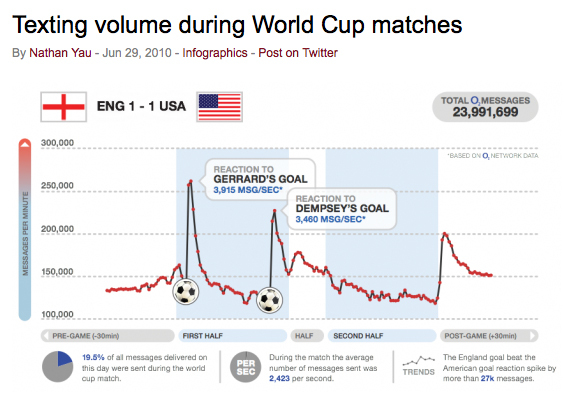 Flowing Data posted this visualization of text message volume during the World Cup match England vs. USA. It shows a highly captive audience, brought together by a real-time event. An audience that not only consumes information (in this case entertainment) but is driven by the age-old human desire to take part and chime in. Over the last 10 months we worked with the Y Water brand to design packaging for their broad market launch. The first products to arrive in stores within the next few weeks are pouches sold in cartons of 5. We generated all design from the core concept that engaging a consumer has to go beyond applying design styles to a product. We put ourselves into the mind of a 7 year old and came up with as much fun stuff to make out of the packaging as we could. 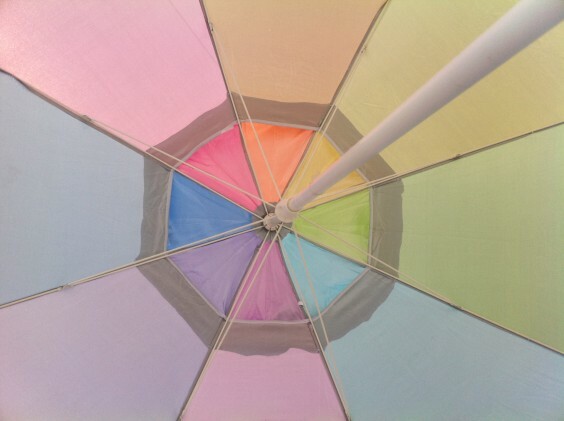 Each pouch has a “lens” in the center. This shows off the color of the organic, low calorie drink but also acts like a magnifying glass. We printed tiny bugs and ants on the cartons so kids can take the magni-pouches and try to find them all. The cartons become thumb wrestling mats when you and a friend stick your hands inside. We’ll show you those next time. 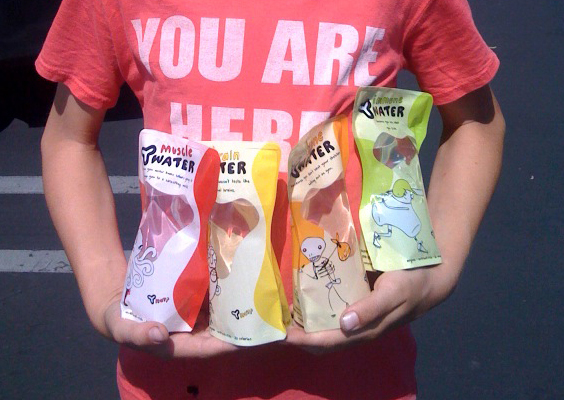 The brand launched to much fanfare as a new concept in children’s beverages in 2007. Yves Behar of Fuse Project designed the first bottles. Kastner and Partners supported Y Water with communications and advertising. It’s always great so see good friends get some attention and these two really deserve it. 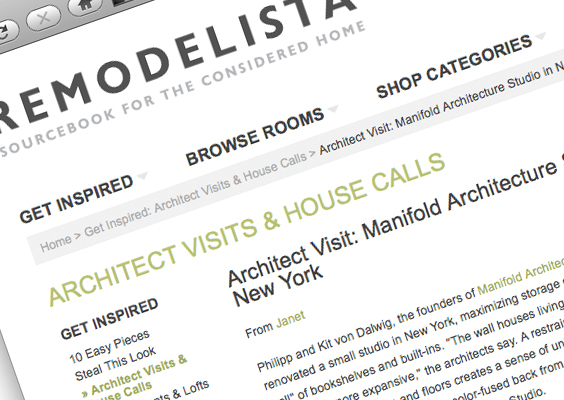 Remodelista featured Manifold’s living wall of bookshelves under Architect House Calls the other day. Philipp and Kit von Dalwig have been skillfully turning their DUMBO studio into the go-to firm for well-considered, detail driven updates on the minimal approach. The project featured on Remodelista reminds me of the Corbusier adage that walls should store everything needed in a house. A space-saver born of New York City constraints. Before everything became virtual, most of the things we interacted with were local. We bought books at Barnes & Noble, not on Amazon, we read the NY Times, not The Huffington Post. Finding an apartment was a drag before Craigslist. Then came Dot Com and Web 2.0 and we could find every piece of information, every product and even most of our “friends” online. 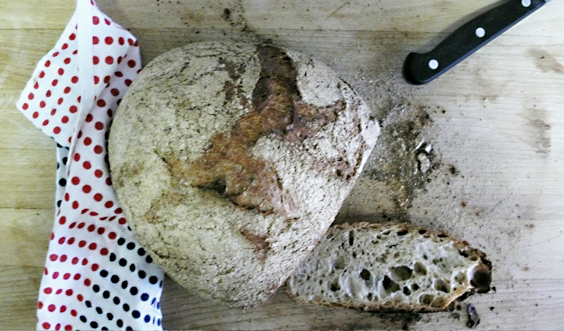 The local turned out to be irrelevant – the virtual was what we wanted. But then the world wide web became bigger and bigger. Relevant local information got lost in the long tail. We realized that local is still important and thus the demand for hyperlocal information began to grow. One of the first hyperlocal applications were local news websites, which filled in the gap the dying print industry left behind. Often these news site/ blog crossovers are specific to a certain neighborhood. There are quite a few of these blogs around in New York, such as the Gothamist which is now also available in many other cities, or the Brownstoner, which focuses on real estate specific news. But lately there are more and more start-ups that offer a platform for hyperlocal information, mash-ups that gather data from different sources about a neighborhood or town. 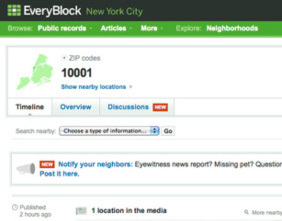 For example, Everyblock lets users create a newsfeed for a specific address or ZIP code and collects information such as news, photos, reviews and governmental information (e.g. crime rate). 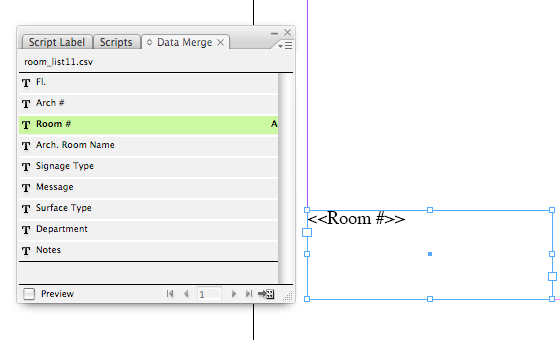 Outside.in and Placeblogger offer similar services while Patch puts together sites for you and adds more categories plus an editorial process to the collection. Although it seems counterintuitive to build ones social network on virtual encounters, the most successful sites in this arena, Facebook and MySpace prove the contrary. However, with the ubiquitous availability of local-based services and devices (from Google Maps mash-ups to GPS enabled phones), hyperlocal social networks are beginning to grow and become more important. The ultimate goal for any hyperlocal network should be to get people together who share a physical location, temporarily or permanently. 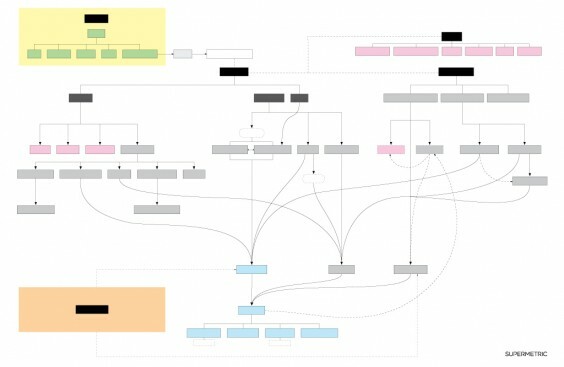 There are few purely web-based applications such as STACKD (a SUPERMETRIC project), which aims to connect people within and around office buildings. 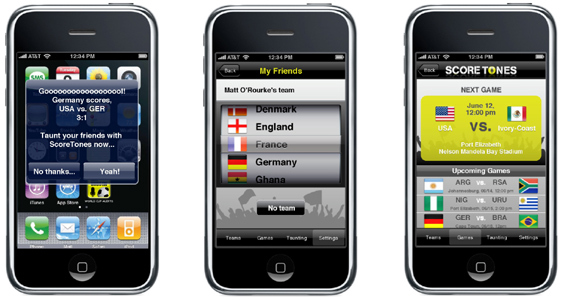 Most players in this game offer location-based services through mobile phone applications. The top four are FourSquare, Gowalla, BrightKite and Loopt. They all work somewhat the same: you check in at a location (e.g. a café, bar, store) and share the info with your friends (via the app, Facebook or Twitter). You can see who else is around and might get in touch. Most apps will reward check-ins with virtual gifts/ prizes which will make you climb up the ladder within your community. 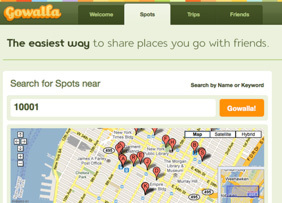 Some applications feel more like a game (Gowalla) where others focus on the social component (FourSquare). Online advertising has revolutionized the market and Google is the incarnation of this phenomenon. 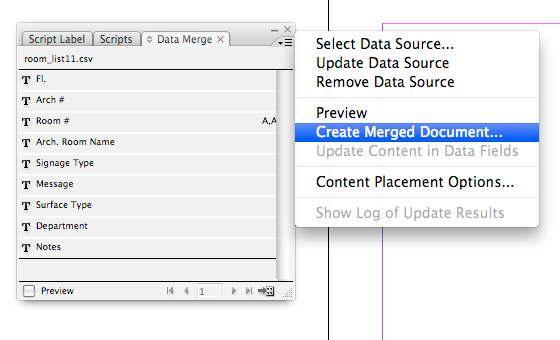 The method and reason for success lies in content sensitive information or ads in this case. Google found the matching algorithms to display the ads that are most relevant for a website or search engine visitor. In many cases local information makes an ad even more relevant. If you think about products you use and buy on a daily basis or multiple times per week or products you consume right away (food and drinks), local-based advertising adds a lot of value. 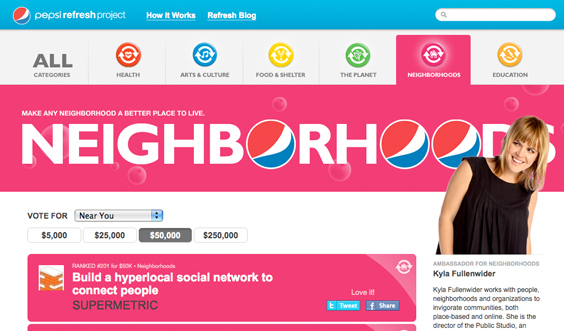 In an article for FastCompany, Michael Gluckstadt evaluates the hyperlocal advertising market at $100 Billion. There seems to be evidence that he might be right: DataSphere just raised $10.8 Million in series B funding to expand their software offerings in this area. Where (a uLocate service) just launched a new hypelocal ad network to connect local merchants with customers (e.g. 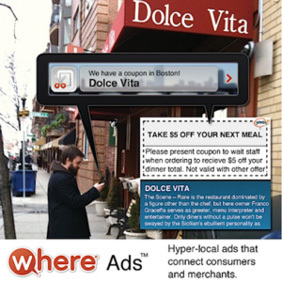 via coupons on augmented reality apps). There seems to be a lot going on right now but the market is still young and it’s not clear what will work yet. Ultimately, services must focus on the value for users. As long as ads are fun, relevant and somewhat unobtrusive there is a true potential to become the next generation AdWords. We need your votes! We submitted STACKD to the Pepsi Refresh Project in order to apply for a grant. We’re proud to say the idea was accepted and we are in the running to win. The grant will enable us to devote real time and attention to STACKD so that we can improve what it does best: connect businesses to each other that are in the same building or neighborhood. It’s our idea of where the internet is heading – hyperlocal. Please take the time to cast your vote, there is a lot of competition and we can’t do it without you! Jorge Luis Borges once wrote a very brief story about map makers who, in a quest to replicate the details of the original perfectly, created a gargantuan map the same size of the country they were illustrating. 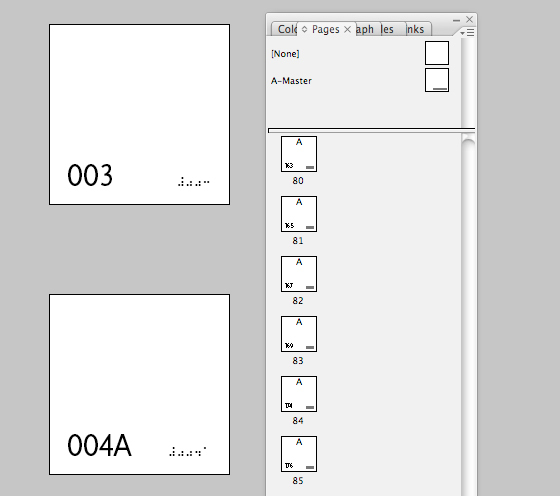 I’m always struck by how difficult it is to show an image of a website one a website. Should I make it small enough to show at once and loose the details in the typography? Should I crop in to a detail and loose the overall impression? 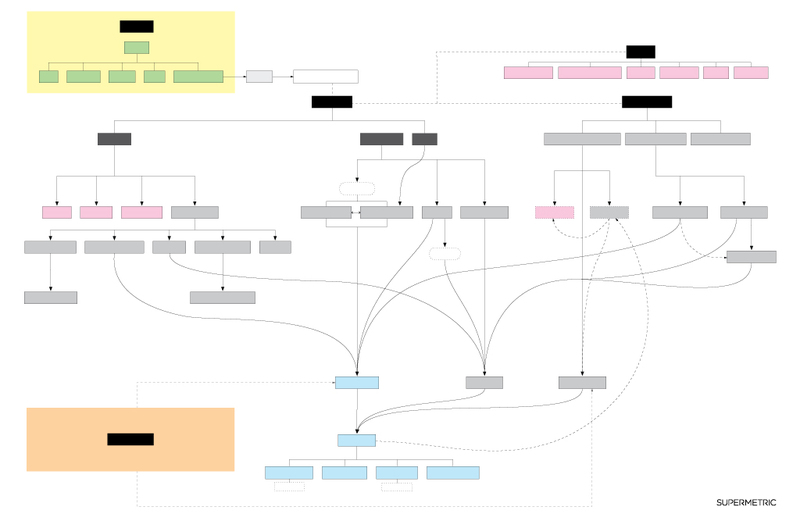 Here’s my newest contribution to the problem: excitingly tilted in a a constructivist 2.0 kind of way. Terrible, isn’t it. 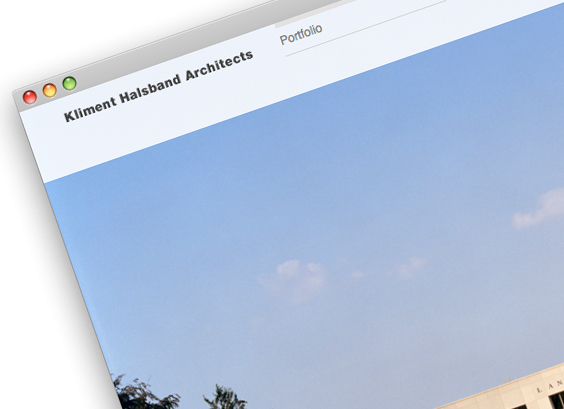 Oh, by the way, take a look at the new website we designed and built for Kliment-Halsband Architects. We did the first one four years ago and they came back to us to rejuvenate. That felt good. Portraits of the partners were shot by the amazing Francois Dischinger. The iPad is coming and whether you like it or not, whether you are under- or overwhelmed and whether you will get it or not: the iPad will be here soon! At $499 and the alleged savior of the print industry, it will most likely make as much of an impact as the iPhone did. 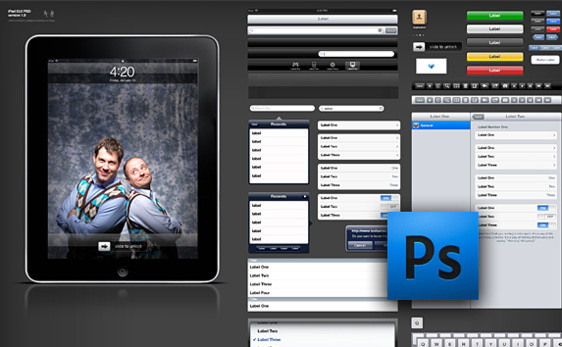 To help us to get ready for some iPad GUI design, we found this handy PSD template (via teehan+lax). It’s quite a collection (24mb) and it even has the blue cube icon that indicates a missing Flash plugin. Staying in Sydney over the holidays, I had the pleasure of encountering the work of Japanese conceptual artist Tatzu Nishi. Outside the Art Gallery of NSW, the two monumental bronze sculptures The Offerings of War and The Offerings of Peace (1923) that are flanking the museums entrance, have been put in a new, quite absurd context. Titled War and Peace and in Between, the artist has built a perfectly average looking living room and bedroom around the sculptures which visitors can access via two ramps. 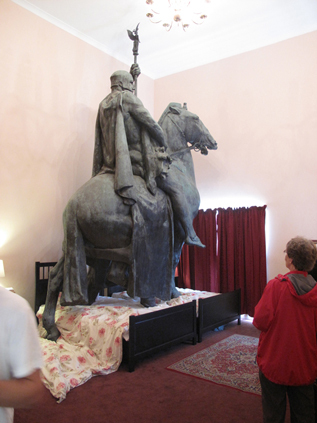 It’s a stunning experience to grasp the actual scale of an oversize bronze statue from so close. And beyond that it really makes you aware of the divide of public and private in the objects that surround us in our daily urban environments. The Sydney project marks the latest in the series of Kaldor Public Art Projects, running since 1969 throughout Oz and including the work of Christo and Jeanne-Claude, Gilbert & George, Jeff Koons, and Bill Viola. Building domestic spaces around public monuments, artworks and streetlights has been Tatzu Nishi’s signature act for over a decade. The artist lives and works in Cologne, and you can see more of his projects at his website.